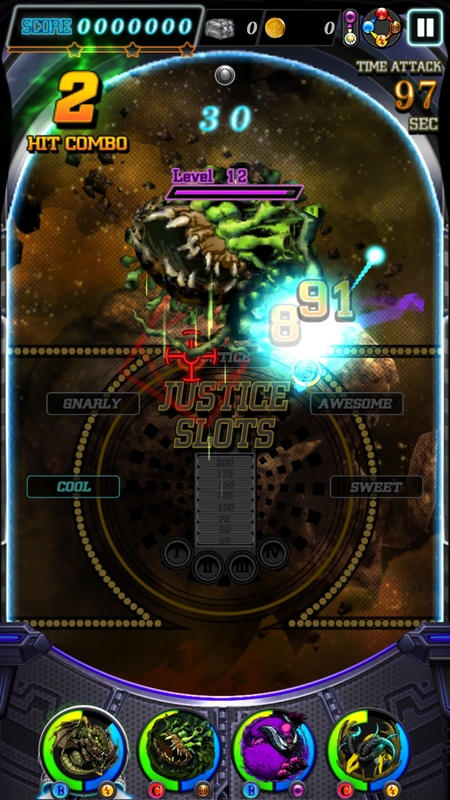 You know, I actually had a small shred of hope for Justice Monsters Five (Free). It looked like a take-off of the enjoyable Monster Strike (Free), had some nice-looking artwork, and its status as a Final Fantasy 15 spin-off, the first playable non-demo anything based on Final Fantasy 15, lulled me into thinking it was going to be of a certain level of quality. 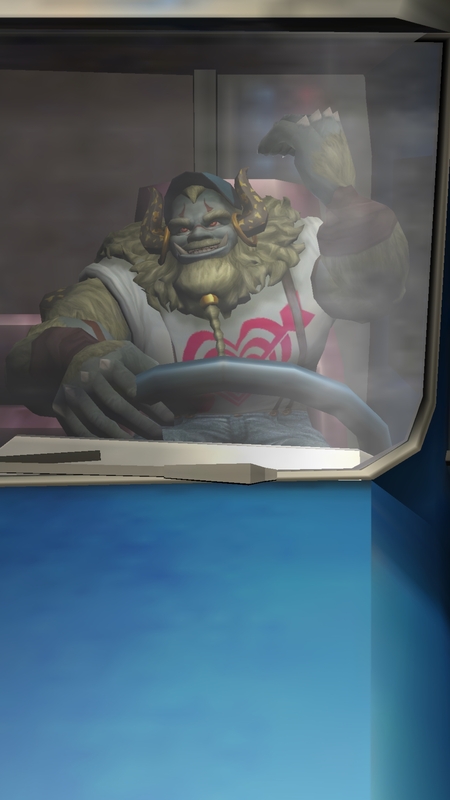 Plus, Square Enix has gotten better with their free-to-play efforts of late. They’re all quite serviceable if not very exciting or innovative. Unfortunately, I was almost completely wrong about this game. The production values are good for what it is and it’s not a broken game or anything like that, but those are both of the nice things I have to say about this shallow, dull affair. Like most of the free-to-play games coming out of Japan these days, Justice Monsters Five uses a familiar social RPG-like structure wherein you collect and train a team of characters. As such, all of the things you would expect to be in play are here, including stamina meters, random monster draws, a gigantic extra install on initial loading, periodic online checks, inventory limits, and a premium currency that can help you grease away some of those squeaks. The loading times are awful, and the UI occasionally seems to be unresponsive. Still, the skeleton of the game is a proven set-up, provided you’ve got something interesting for your battle mechanics. Justice Monsters Five makes a valiant try at that. The battles in the game play out like a hybrid of pinball and pachinko, with your monsters bouncing around the battlefield in order to attack enemies. At first blush it seems similar to Monster Strike, but you’ve got a lot less control over things here. Instead of the flicking system found in that game, all you can really do here is tap the screen to give the bottom of the board a shake, causing your monster to bounce upwards. If you hold on the screen, you’ll charge up a more powerful launch. Your monster rolls back and forth at the bottom of the play area non-stop otherwise, so there’s an element of timing if you want your monster to go to a particular area of the screen. The enemies on the board will occasionally attack back, and if you run out of HP, you’ll fail the stage. You’ll also want to mind the timer, as finishing the level within a certain period will give you a bunch of bonus points, helping you earn the most rewards for the stage. As you play deeper into the game, the board layouts get trickier and the enemies get stronger. You’ll have to learn to aim carefully and make sure you’re grinding up your team whenever you can. It’s all well and good on paper, but in practice, it’s just a bit too erratic. The physics aren’t reliable or properly predictable, and trying to fire off a special move while you’re in range of an enemy can be difficult due to the button placement. The worst of it is that there really isn’t any depth to it. Once you figure out broadly when you should tap, you’ll be able to do the same for any stage. You’ll need to work around new obstacles, but that’s about it. As a result, the gameplay quickly becomes rote, tipping between boring and frustrating depending on how strong the enemies are. It feels like the kind of game that came out of a brilliant flash of an idea, a short burst of effort, and an eventual abandonment from lack of interest. The structure is here for something decent, but somebody forgot to make it fun to play over any real length of time. So you end up tap-tapping away at your screen, maybe pausing a second to make sure your monster will launch in the right direction, then returning to the menus to do the same things we’ve been doing since Puzzle & Dragons (Free) hit it big. If you’re looking for any tantalizing hints towards the upcoming release of the long-awaited new Final Fantasy, you won’t find much here. Since this is a game within the game, it has its own characters and mythology separate from Final Fantasy 15. At best, we might be getting a peek at which classic monsters might appear in that game, but it’s not like it’s any news that malboros and bombs are showing up in a Final Fantasy game. 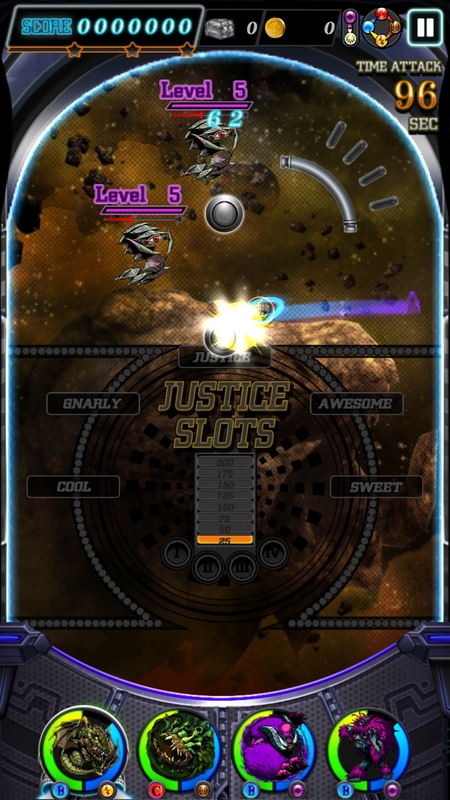 Justice Monsters Five has its own world and cast of characters, but if you blink, you’ll miss them. After a strong opening ripe with the best kind of cheese, the majority of the speaking characters step out of the picture and don’t appear to be coming back anytime soon. It might be for the best, though. The overly-talky opening is a positive drag, as is the ridiculously long tutorial given the game’s relatively simple mechanics. 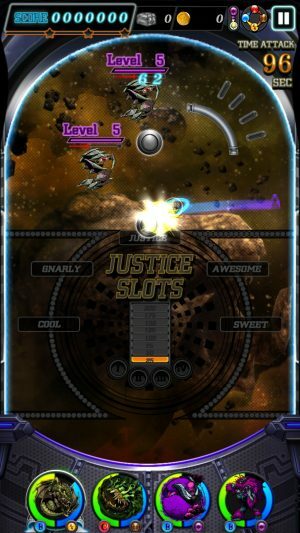 Ultimately, Justice Monsters Five feels less like a game meant to stand in the long term and more like a promotional app. That very well may be all it’s meant to be. If that’s its aim, it fails to accomplish the goal of generating excitement for Square’s impending big bet. It’s neither a very interesting game nor a window into the universe of Final Fantasy 15. Those looking forward to that game would be better off replaying a demo or watching some videos, while anyone looking for a new free-to-play game can certainly find better choices.